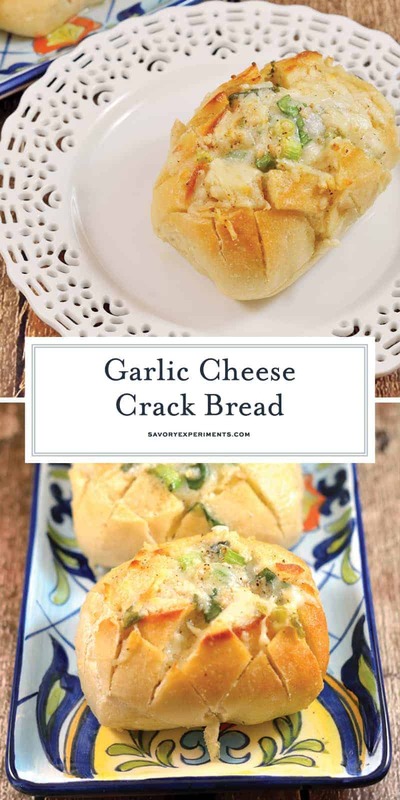 Individual Garlic Cheese Crack Bread - The Best Garlic Bread! If you are on Facebook, Pinterest, Twitter- really any social media, you have seen “Crack Bread”. Well now here is Individual Garlic Cheese Crack Bread! 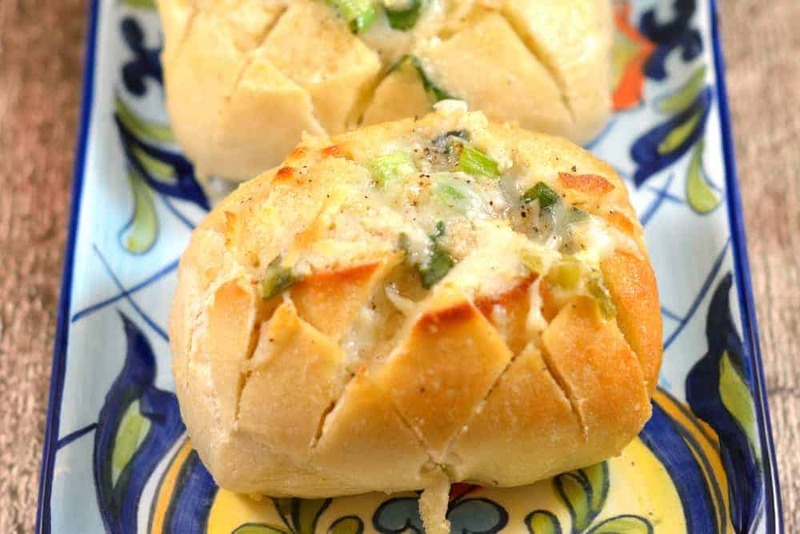 Individual Garlic Cheese Crack Bread is bread cut in a crisscross pattern, stuffed with cheese, drenched in garlic butter and baked to golden perfection. 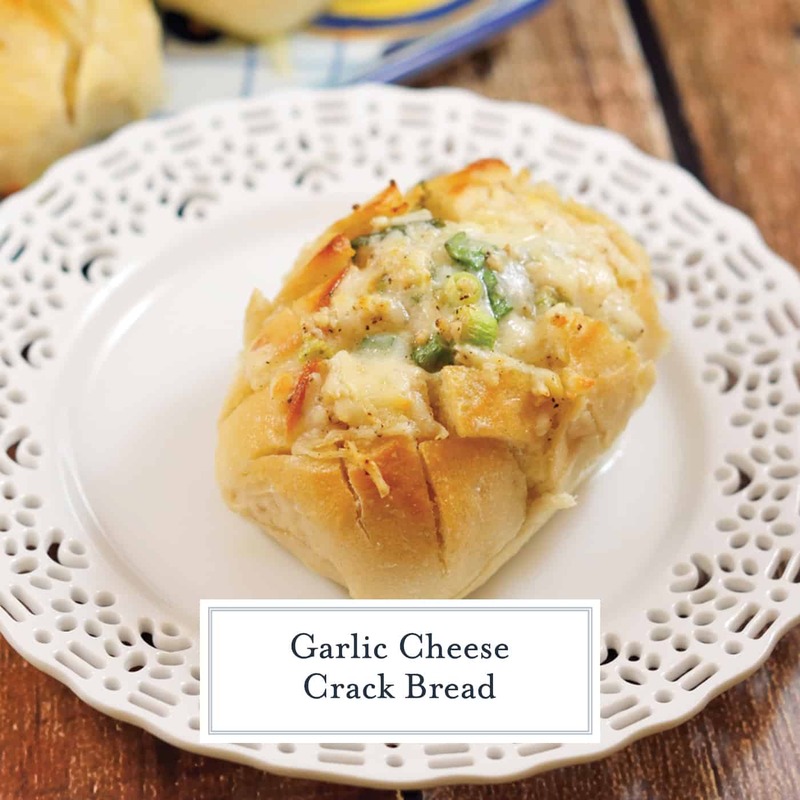 Easy to pull apart and addictive, it is obvious as to why garlic cheese crack bread became an internet sensation. The jury is out as to why people refer to it as crack bread. Is it because of the distinctive cracks that allow this beautiful bread to be stuffed or because it is just as addictive as crack? The name also really offends some. I was not immune to this craze, making Garlic and Cheese Pull Apart Bread and Jalapeno Popper Pull Apart Bread. I even experimented with a crab dip and Mexican version. 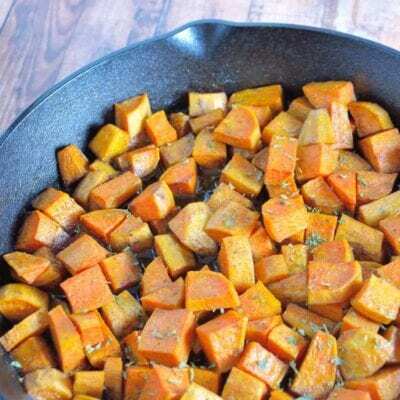 It was requested so frequently at my house and the star of any meal, no matter how grand the entree, that people would fight over the last pieces. This was when I decided to make them individual. No more leaning over the table, no feeling guilty taking the last piece and no spending the entire meal passing the tray. My Individual Garlic Cheese Crack Bread is the solution to the problem. I generally make at least two for each person, sometimes even three, depending on the crowd I’m feeding. 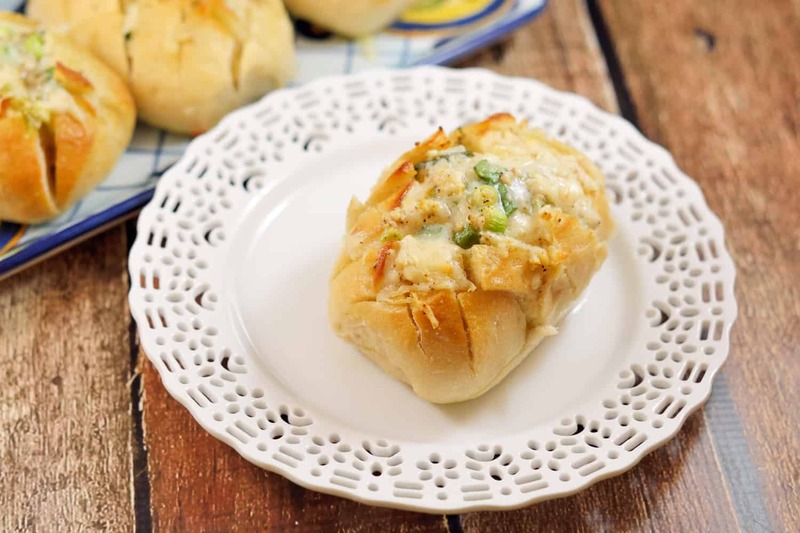 One thing is for sure, your family is sure to love these cheesy garlic bombs just as much as mine! Score each roll crosswise and lengthwise 3-4 times, cutting almost through to the bottom, but leaving it intact. 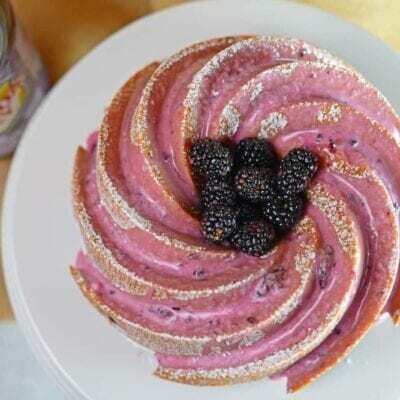 The goal is to spread apart the bread pieces to “bloom”, but be able to pass it around and gently pull a piece off. In a small bowl combine cheeses, green onions and garlic, mix. 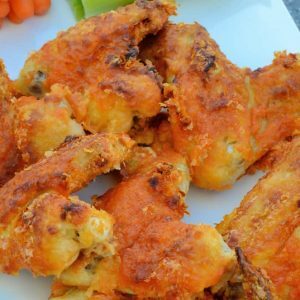 Stuff cheese blend evenly into all of the slits, nooks and crannies. After stuffing all of the cheese it should be coming out the top- keep stuffing! In another small bowl combine melted butter and remaining ingredients, whisk together. Spoon or pour mixture evenly over stuffed cheese slits. 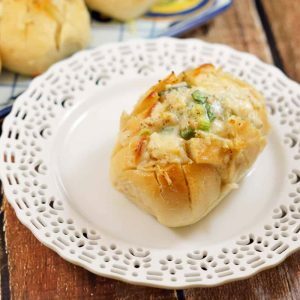 Place rolls on a baking sheet and place in the oven for 15 minutes, or until cheese is melted and tops are nicely brown and crisp. Remove from oven, allow to cool for several minutes before serving, you don’t want your diners to burn their finger tips trying to get at this delicious bread! 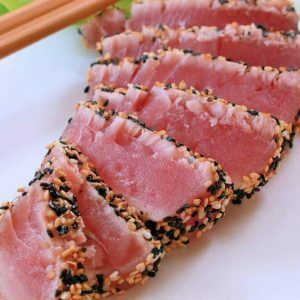 No serving utensils required. 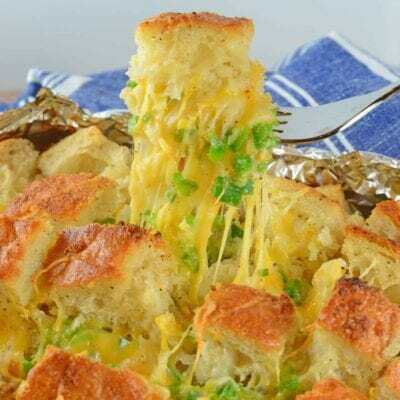 Enjoy your Pull Apart Cheesy Garlic Bread! Looks good. I am going to try this recipe using individual sourdough soup bowls I can purchase at a local store. I love your bread and I swear Jessica, I can almost smell them from here! Great photos! Pinned and shared!